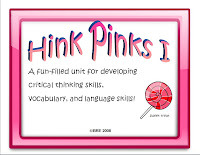 Ever since I attended my 1st state conference for Gifted and Talented Education several decades ago, I have seen, heard and read about Hink Pinks. 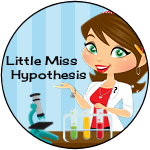 These vocabulary building, problem solving, critical thinking riddles are staples in GATE. Perhaps my decades long connection with Hink Pinks, et al, is best explained by the fact that my students absolutely love them! 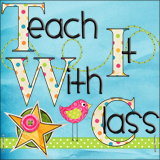 They loved them when I was in the classroom and when I became an enrichment resource teacher, my pull-out students literally begged for more of them. 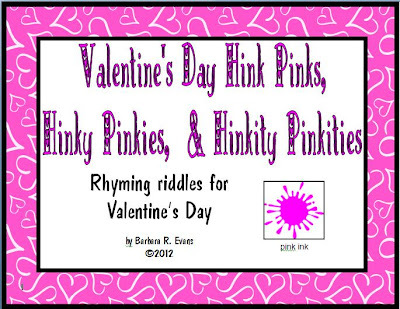 Hink Pinks are riddles wherein the clues lead you to a 2 word answer. 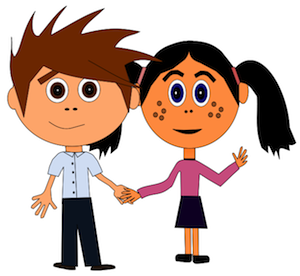 Each answer word must have just 1 syllable and the 2 answer words must rhyme. 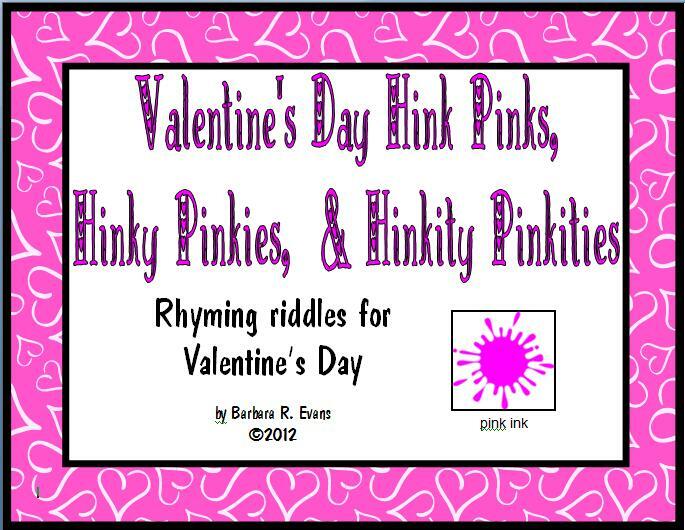 Hinky Pinkies are riddles seeking answers with 2 syllables in each word. The 2 words must rhyme. 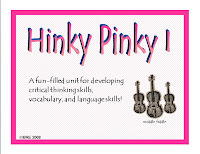 Hinkity Pinkities are rhyming answer word pairs with 3 syllables each. 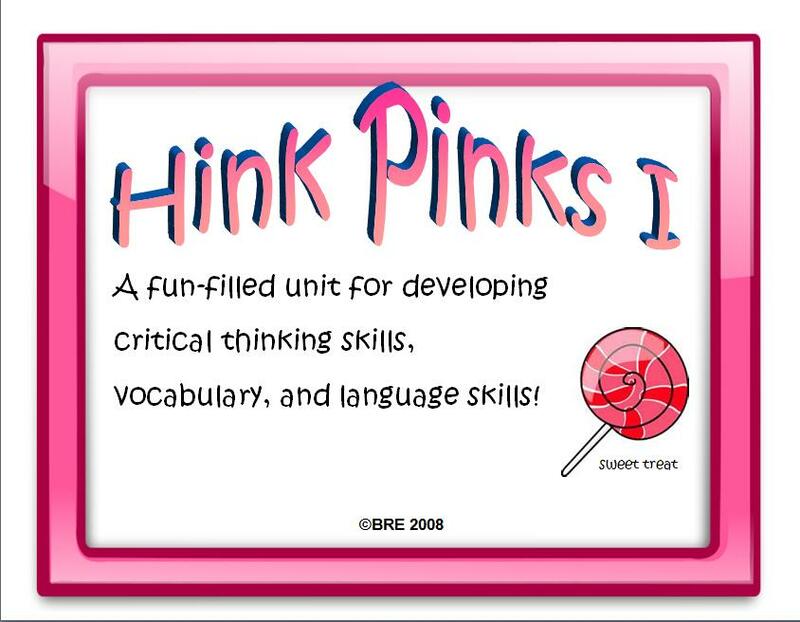 Some teachers like to distribute Hink Pink clues on a work sheet, but I continually strive to eliminate worksheets from my teaching. About 20 years ago, I started putting the clues on 1/4 sheet cards. 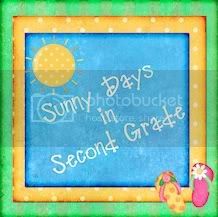 By doing so, I was able to create a resource that was ready to use year after year, saving me bunches of time and conserving paper big time! 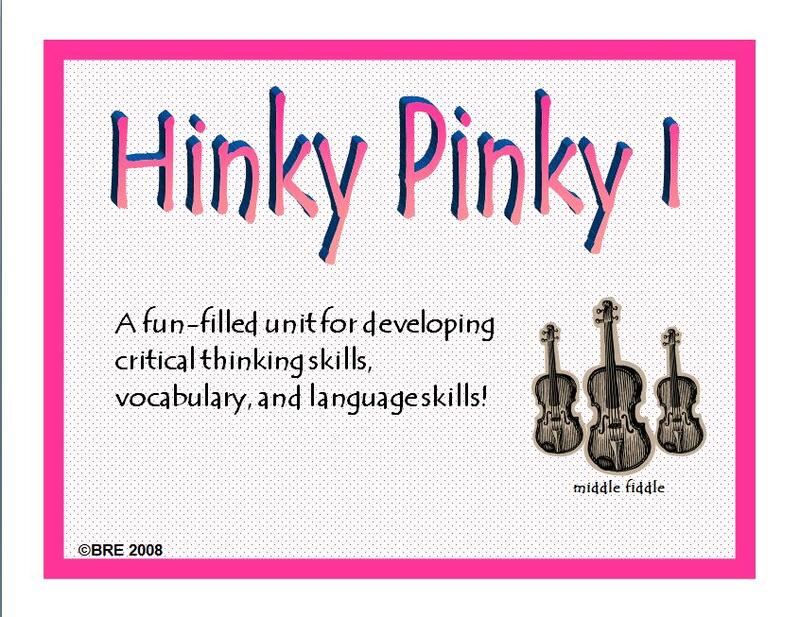 Armed with my Hink Pink, et al cards, I was able to use them as an anchor activity when students were arriving each morning. 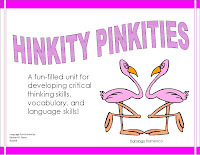 They also work well as a sponge activity and are great at a literacy center. Now, working as a pull-out enrichment specialist, I use these cards as a warm-up activity. Without a doubt, G/T students are enthralled with these riddles. 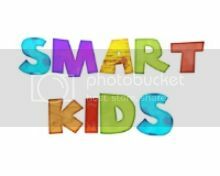 But, I also found that "average" students were intrigued and set their caps to solve them. The answer to this Hink Pink is sweet treat. 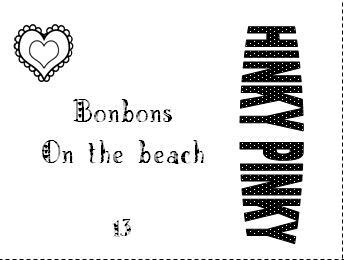 The answer to this Hinky Pinky is sandy candy. 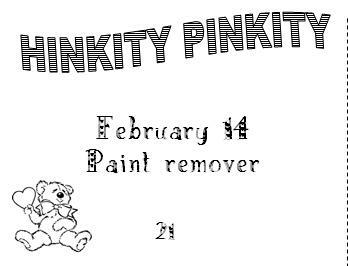 The answer to the Hinkity Pinkity below is valentine turpentine. There are 24 cards in this FREE set. Naturally, there is an answer key. Did I mention that it is FREE? 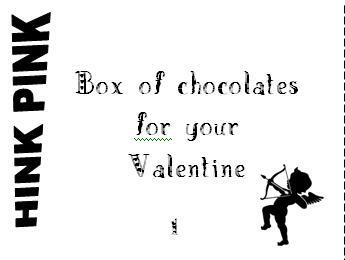 You can retrieve your copy here. 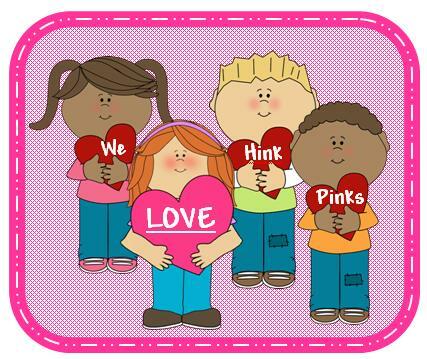 I hope you enjoy Hink Pinks, et al as much as my students and I do.